approx. 20 km (12,4 miles) west of Linz, at the northeast edge of the city Wels. Take motorway A25 / E552 in the direction to Wels or Passau. 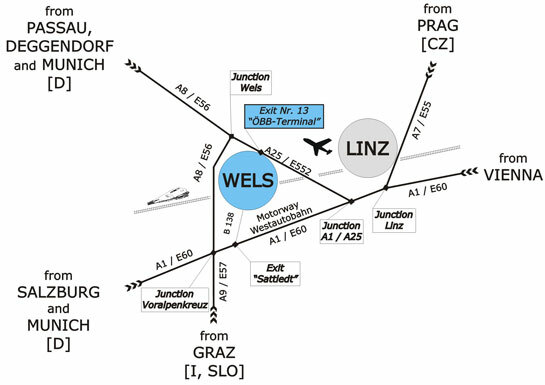 This motorway A25 / E552 will take you directly to Wels, which has several exits. Take exit no. 13, ÖBB Terminal, which is in the beginning of Wels (the second exit). Pass over the bridge and roundabout, and drive past the ESSO petrol station and big truck stop. This street is the Terminalstrasse. Follow the road, passing industrial buildings, and turn right before the big grey building of the company TEUFELBERGER (and after the company SPAR). After another 200m turn left again into the Daffingerstrasse (residential road, after the company DANZAS) and follow it through almost to the end. Turn left before you reach the roundabout and you will be in front of our gate. The distance between the motorway exit and DOA is approx. a 3-minute drive. 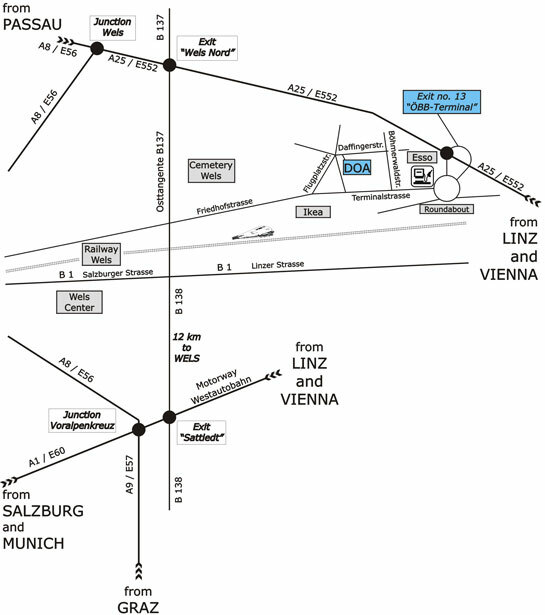 At the intersection Wels (Knoten Wels) of the A8 / E56 and the A25 / E552 towards Linz - Vienna till the exit no. 13, ÖBB-Terminal. Pass over the bridge and roundabout, and drive past the ESSO filling station and big truck stop. This street is the Terminalstrasse. Take exit Sattledt of the motorway A1 / E60 and the resuming federal road B138 and B137, turn right into Friedhofstrasse towards IKEA. 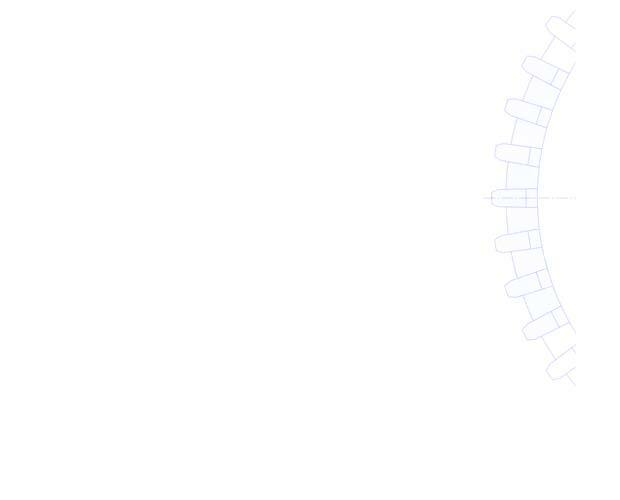 Turn left into Flugplatzstrasse to a small roundabout, take the second exit, it´s the Daffingerstrasse. Over main station Wels, approx. 4 km (2,5 miles) to the DOA-works. From the airport Linz - Hörsching, approx. 15 km (9,3 miles) to the DOA-works.